India’s Ministry of External Affairs says it has so far obtained consular access to 117 of the 129 detainees. 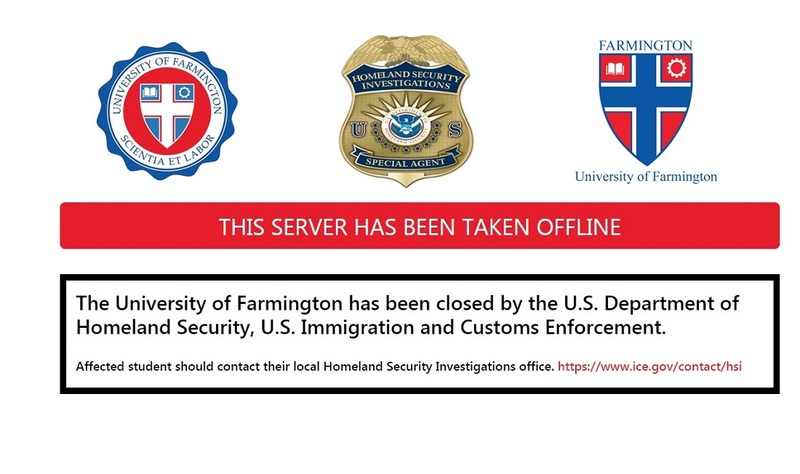 Some 129 Indian students, who came to the United States to attend the Farmington University, are in the US Immigration and Customs Enforcement (ICE) custody in more than three-dozen detention sites across the United States. Farmington, a fake school in the Detroit area set up by ICE as part of a sting operation, since then been closed. Atlanta-based immigration lawyer Phani Bobba told the American Bazaar that he has been receiving many frantic calls from the students who are anxious and scared. “Many of them especially from Boston informed me that they are having a hard time at the [detention] centers,” he said. Bobba, a legal consultant with the Chugh, LLP, said many detainees, who eat only vegetarian food, are having issues with food as well. “Out of the three meals they are for now surviving only on bread,” he said. Bobba said, while the issue about food is felt in detention centers across the country, in one center, in Boston, detainees have complained about the cleanliness of their cells. At least seven of the Indian students are kept in the Boston center. However, an ICE spokesperson denied that detainees are having any issues with food. Meanwhile, India’s Ministry of External Affairs said Tuesday that New Delhi “has continued to closely monitor and take proactive measures to deal with the detention” of the Indian students. A press release issued by the ministry said the Indian embassy in Washington, DC, and country’s four consulates in the United States have so far obtained consular access to 117 of the 129 students. Indian officials have visited “36 different detention sites through the length and breadth of the country,” it said. Efforts to have consular access to the remaining students are continuing, the ministry said. The embassy has set up a 24/7 helpline to interact with the students, their relatives and the Indian American community. The ministry said in the press release that it is also helping the students to obtain legal advice and to connect them to the local community support services. “We remain in touch with the U.S. authorities, both at the federal and local level, to ensure and satisfy ourselves about humane and dignified treatment of the Indian students and custom-sensitive dietary and living arrangement for them during the period of their detention,” the statement said. Lawyer Bobba, in the meantime, disputed the ICE’s claim that all the students were aware of the fact that Farmington was a fraudulent university and they knowingly got admitted to the school so that they could stay and work in the United States. He and other lawyers said, contrary to popular perception that the students came from India fully aware that they are party to the scam, most of them were already in the United States. Having completed their graduation here, they were not able to secure an H-1B and hence enrolled themselves in a masters’ program. They had student loans that need to be paid back and hence were looking for small jobs that can help them sail through. “For many of them the luring factor toward Farmington University was its low fee structure,” said Bobba, who is also a member of Telugu Association of North America (TANA). “The fee for one semester at Farmington University was $8,500 while at any other US university it is around $15,000. This attracted many students as most of them are financially not very well-off.” Many of the students discovered shortly after their admission that they were in a scam but much was at stake to for them to react, he said. Another girl who called Bobba had a similar story, which he shared. “She researched on the fee structures and found Farmington to be the cheapest and hence enrolled herself but even before she could realize and get out she landed herself in the detention center,” he said. When a visa in any country expires or is no longer valid, normal law abiding citizens leave that host country. I feel no pity for these individuals who tried to go around immigration laws.